With cocaine use quadrupling in the UK over the last 20 years, organisations like ours have had plenty of opportunities to help those in need. While it’s good that we can do what we were established to do, it’s a shame that more people need our help in finding reliable cocaine rehab reatment than ever before. Cocaine dependence can be devastating, as any dependent cocaine user can attest. If you or someone you love are struggling with an addiction to cocaine, we can help by offering you a free assessment. We can then give a referral to a certified cocaine addiction rehab facility. We offer advice to addicts as well as advice for the families of addicts regarding all aspects of addiction recovery. We believe drug abuse is not something to take lightly, and are here to help in any way we can. 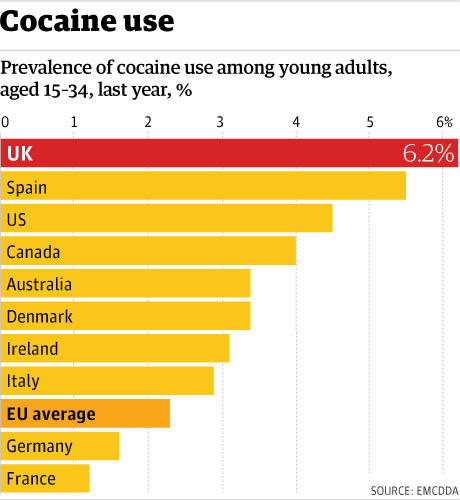 Cocaine rehab in the UK can take one of many forms. Rather than treating all abusers and addicts alike, rehab facilities take their clients one at a time. Each person who comes in for treatment at an alcohol or drug rehab receives an individual assessment followed by a bespoke treatment plan that best fits that person’s needs. Our organisation (as well as organisations such as the National Institute on Drug Abuse) believes professional drug treatment is the best way to go. Substance addiction affects everyone differently, and substance use disorders should be taken seriously. Professional rehab treatment addresses not only physical symptoms of drug abuse, but addresses a person’s mental health as well. The personalised treatment plans that are a standard part of most treatment programs ensure that everyone seeking help gets the right kind of help they need. Whether this is luxury treatment at a private rehab, residential rehab, outpatient care, or sober living arrangements, there are options for anyone who needs drug addiction treatment. An addiction recovery center can truly help a person take their life back. Make no mistake about the need for getting professional help at a leading treatment center for cocaine abuse. Rehabilitation programs are designed to address all aspects of drug or alcohol dependency. Cocaine effects can take a powerful hold on a person, with the long-term effects of the drug often destroying a person’s life. Going to a treatment facility can change this. The powerful and addictive nature of cocaine is such that it is very difficult to stop taking once a person becomes addicted. Those with experiencing abusing cocaine in fact know, that cocaine is one of the hardest drugs to come off. But, it’s not impossible. Addiction rehabilitation can help those struggling with cocaine abuse and addiction get their lives back on track. We and the rehab clinics we work with have helped countless numbers of clients break free from cocaine addiction. Drug rehab be life-changing for those struggling with any kind of drug addiction. If you have read some of our other cocaine-related articles, you probably already know that the drug is a powerful stimulant. You also know that it works on the brain quickly, interrupting both chemical balance and the way the brain responds to the chemicals present. But it also has a very strange characteristic that makes treating cocaine addiction difficult: its tendency to restrict blood flow to the brain. an inability to link their thoughts together. There are also several negative effects of cocaine addiction. 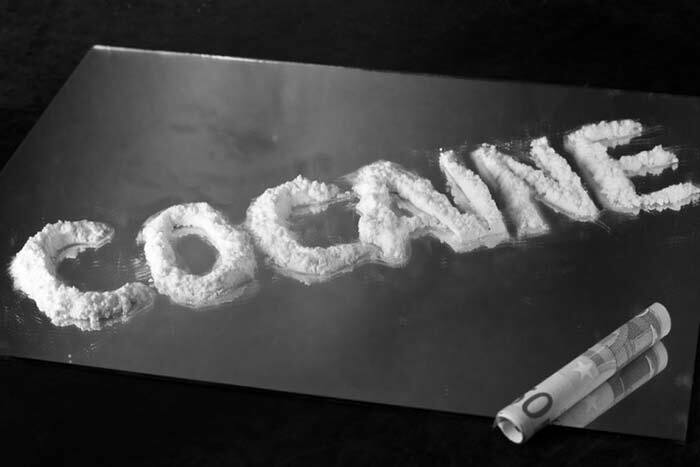 Weight loss is common in those who abuse cocaine, as it significantly supresses one’s appetite. Some of the short-term effects often include disruptions in sleep patterns, muscles spasms, and even convulsions. If too much cocaine is taken in too short time, restricted blood flow can lead to high blood pressure and increased heart rate. When not properly addressed, high blood pressure can in turn result in more serious medical complications. According to the National Institute on Drug Abuse (NIDA), long-term cocaine use can lead to increased risk for heart attack or heart failure and stroke. Cocaine addicts can also suffer from other long-term effects like attention deficit and memory problems even after kicking the drug habit. This really isn’t a drug to be taken lightly. There are several cocaine addiction treatment options for people who want to end their cocaine dependence for good. Most people looking to undergo cocaine rehab will participate in a three-step process that includes detox, psychotherapeutic treatments, and aftercare. These steps are common in most types of drug and alcohol treatment. Rehabs for cocaine will typically focus strictly on cocaine addiction, unless a patient is struggling with a dual-diagnosis such as cocaine addiction and an eating disorder. In terms of cocaine detox, there are very definite withdrawal symptoms involved. While it’s generally believed that cocaine abusing doesn’t cause uncomfortable withdrawal symptoms, this isn’t the case at all. Cocaine withdrawal symptoms can be extremely difficult, as anyone who has suffered the effects of cocaine knows. Although typically not as severe as some cases of alcohol detox, detox from cocaine is best addressed at an addiction treatment centre. The persistent belief that cocaine does not cause any withdrawal symptoms is because withdrawal tends to be more psychological than physical. In other words, the physical symptoms you might experience in withdrawal are less intense with cocaine than other drugs like heroin, alcohol, and crystal meth. But the psychological effects of cocaine withdrawal are another story. In this instance, cocaine withdrawal symptoms can be severe. Due to cocaine’s powerful ability to create intense cravings, people going through detox from cocaine tend to complain about those cravings most of all. 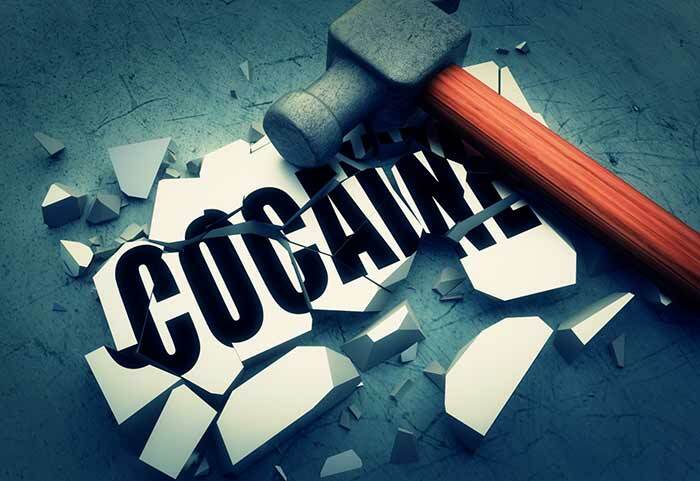 During cocaine detox, craving cocaine can lead the user to bouts of agitation, anxiety, and even emotional outbursts of anger. Some have even been known to become violent. The mental health of a long-term cocaine user is often unpredictable due to the damaging nature of the drug itself. This is one of the reasons we recommend professional substance abuse treatment when attempting to quit an addiction to cocaine, rather than going through withdrawal on your own. Drug rehab can help tremendously when facing the negative impacts of cocaine withdrawal symptoms. The long-term effects of cocaine or crack cocaine can be devastating without engaging in cocaine addiction treatment options. As with other drug and alcohol rehab programmes, the point of psychotherapeutic treatments is to help patients understand how drugs affect the way they think and feel. The mental health of each patient is taken into consideration, with a caring advisor there to help every step of the way. Counsellors and trained addiction specialists work with patients to help them identify those things that trigger their addictive tendencies, followed by developing strategies to fight those tendencies in the future. Cognitive behavioral therapy (CBT) works very well in this regard. Of all types of treatment and therapy, CBT is one of the most widely accepted forms of drug treatment. As a side note, some cocaine treatment programmes make use of hyperbaric oxygen therapy to help restore damaged blood vessels. Although the National Institutes of Health (NIH) recognises the therapy as being safe, it may not work for everyone. Therefore, not every rehab clinic offers it. When looking to receive treatment for cocaine, there are several different treatment options available. There are different types of rehab centres that help with the rehabilitation process. Because addiction is such a widespread demographic, there are price options for everyone. Even if a person doesn’t have private insurance, this should not be a deterrent from receiving rehab treatment. There are several addiction rehab options to fit a variety of different budgets. Outpatient care (also known as residential rehab) is an option for the cocaine user who is not struggling with a severe addiction to cocaine. Those worried about the cost of rehab will find outpatient care to be less expensive than inpatient rehab. When going to an outpatient treatment center, patients are not required to stay at the treatment facility. Day treatment options make it possible for patients to return home each night, allowing them to cater to other responsibilities. This significantly cuts down on the cost of rehab, making it an affordable option for those who do not have health insurance and are paying out of pocket. Inpatient cocaine rehab works differently than outpatient treatment in that it requires patients to stay at the treatment center the entire duration of the rehabilitation process. Inpatient treatment is known to be an intensive rehab treatment that immerses those seeking to end a drug or alcohol addiction in 24-hour care. Inpatient treatment immerses patients in an experience that focuses completely on their recovery. Inpatient addiction treatments are excellent for those suffering from a moderate to severe addiction to cocaine, as well as those who are suffering from a dual diagnosis. Inpatient cocaine rehab typically lasts 4 weeks, and covers all aspects of addiction recovery. When getting treatment for cocaine addiction at an inpatient rehab programme, patients will receive around the clock health care in an environment conducive to treating substance abuse. When going to an inpatient cocaine rehab, the transition from detox to treatment (including individual and behavioural therapy) is seamless. Various addiction treatments will address each patient’s behavioral health and work through each individual aspect of the cocaine rehabilitation process. Cocaine addiction treatment can completely change the life of a regular cocaine user. Enrolling in a treatment programme and making the commitment to go to a cocaine rehab centre is something you will have to decide to do by yourself. But we can help you understand the decision and what it entails. Alcohol and drug addiction can feel impossible to overcome, but there is hope. Substance use disorders don’t have to last forever. All you have to do is contact us on a 24-hour helpline or through this website, and we will answer any questions you have about cocaine rehab, heroin rehab, alcohol rehab, prescription drug abuse, rehab costs, and more. We are here not only to offer help to addicts themselves, but also advise for the families of those affected by drug or alcohol abuse. We are here to ensure you choose the best rehab program to fit your needs, whether this is inpatient treatment or outpatient care. It is important to know everything you can about the cocaine rehab centre you are thinking about before making a final decision. All addiction treatment centers operate differently, and choosing the best to fit your personal circumstances is vital. Before you read and agree on a contract, it is important to get all the information you can on the cocaine rehab center you choose. We’re here to assist with all the information you need. This way, agreeing to the conditions outlined by the rehab centre will be a decision you feel comfortable making. It’s vital that before committing to a rehab programme, that you agree to the conditions of the centre itself. We are a referral organisation with a mission to help addicts and their families get their lives back. Whether you or a loved one is suffering from an addiction to cocaine, crack cocaine, alcohol, a prescription drug, crystal meth or a heroin addiction, we are here to help each drug addict, as well as offer advice for the families of those who are suffering from drug abuse and addiction. Substance abuse affects everyone, which is why we’re here to help everyone involved in any way we can. The negative effects of drugs and alcohol can be overcome. Part of our mission is to maintain a comprehensive database of drug and alcohol treatment programmes throughout the UK and abroad. We also work with American addiction centres, to ensure that no matter where you or (or where you want to get help), that you know all options available to you. Many of the centers we work with accept private insurance policies. There are several addiction treatment options available, and we are here to ensure whether suffering from the effects of cocaine or crack cocaine addiction, heroin addiction, or a prescription drug problem, you are aware of all available treatments. You can get the information you need by making one simple phone call to our helpline. We’re here not only to help you explore different rehab centers, but to offer any other information we feel will benefit your decision. Choosing the most effective treatment to fit your needs will help greatly in your addiction recovery. We also make sure those suffering from a dual diagnosis get the right support. From all you need to know about the intake process, to treatments such as cognitive behavioural therapy, we have all the information you need when choosing a treatment facility so you can overcome your addiction for good. We are also here to offer information on rehab costs, including insurance accepted by various treatment centres, as well as any government funded programs that might be available. While those with private insurance typically have more cocaine addiction treatment options, there are still several services available to those paying out of pocket. Publicly funded programs will sometimes pay for all or part of these services. We also want to make sure that you know about all addiction treatment options available. We are connected with leading treatment centres across the UK, as well as several American addiction centers. You do not need to spend weeks or months doing the research for the treatment of cocaine on your own, we’ve done it all for you. Please note that all of our services are both free and confidential. There are several different treatments for cocaine addiction, and we want to ensure you choose the right one. It costs you absolutely nothing to call and speak with one of our counsellors. Both physical symptoms and any concerns about mental health will be discussed, you can then receive a comprehensive assessment of your situation. Here you will learn what health insurance is accepted, and get referrals to local rehab clinics in your area. No one will know you contacted us unless you choose to reveal it. Alcohol and drug addiction is a very personal matter, and this is something we completely understand. We take your privacy very seriously when discussing any substance use disorders you’re dealing with. We believe addiction recovery is possible for everyone. We’re here to discuss addiction rehab options in a confidential manner, ensuring that your choice for drug treatment information remains classified unless you choose otherwise.